Offering you a complete choice of services which include sigmafast protective coating service, sigmaline protective coating service, sigmatherm coating service, sigmadur coatings, sigmaweld protective coatings and steel guard protective coating service. We are offering Sigmafast Protective Coating Service to our clients. For industries where speed of construction is a vital element in the final cost analysis, the SIGMAFAST™ range helps to improve productivity through its speed of cure. The fast dry-to-handle times, reduced minimum over coating intervals and ease of application are all important reasons why many fabrication shops prefer SIGMAFAST products. Customers are aware that by choosing from this specialized range of products, formulated for the fabrication industry, they increase the ability of delivering on time, on budget – every time. The SIGMAFAST range – improved efficiency and productivity through speed of cure. We are offering Sigmaline Protective Coating Service to our clients. As part of this product portfolio, the SIGMALINE product range offers coatings that deliver significant customer benefits. Proven performance in the most extreme situations conditions Superior protection whether pipes are thermally insulated, buried or submerged Maximum internal and external corrosion protection Resistant to a wide range of temperatures Ease of application and consistent quality Phenolic epoxy coatings that withstand high-temperature applications Enhanced, efficient gas flow. The SIGMALINE range – superior, robust and proven performance. We are offering Sigmatherm Coating Service to our clients. The SIGMATHERM™ range, part of the SIGMA COATINGS® brand, offers high-quality, high-performance, heat-resistant coatings developed specifically to meet these challenges, able to cope with extremes of temperature and deliver a dependable long-term performance for both new construction and maintenance. The SIGMATHERM range – reliable, versatile and effective protection. We are offering Sigmadur Coatings to our clients. The SIGMADUR™ range provides outstanding performance in durability, color and gloss retention.The coatings have a proven track record over many decades providing exceptional protection for the service life of valuable assets in aggressive environments where durable systems are required.Products in the range deliver optimum resistance to the splash and spillage of mineral, vegetable oils, paraffins, aliphatic petroleum products and mild chemicals. 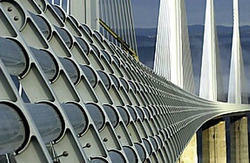 We are offering Sigmaweld Protective Coatings to our clients. The SIGMAWELD™ range is also ideally suited for use on land storage tanks and chemical installations. The period of protection provided depends on the technology used and on the exposure conditions encountered during transport, storage and construction. The SIGMAWELD range – versatile, durable and proven performance. 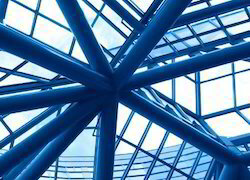 We are offering Steel Guard Protective Coating Service to our clients. Steel-guard ™ in-tumescent coating systems are specifically formulated to provide superb fire protection for civil buildings. These coatings expand at high temperatures from a thin coating into a thick, foam-like layer that insulates the steel from the fire; this insulation maintains the steel’s stability – providing vital time to help people escape.These coatings produce an extremely smooth surface that can be top-coated with a variety of colors. The range also includes waterborne coatings specifically designed for onsite use, conforming to the most stringent environmental regulations, applicable even while people are using the building. The STEELGUARD range of products have European (EN 13381) and national certification from many countries. We are offering Novaguard Protective Coatings to our clients. Within our trusted SIGMA COATINGS® product portfolio we offer a complete range of high-performance and cost-effective tank coatings. Designed to prolong tank service life, these coatings provide a vital protective barrier to prevent corrosion and therefore the need for extensive repair work or costly replacements. With both solvent-free and solvent-borne products available there is a tank lining solution to meet the specialist requirements of all types of cargo and stored products, however sensitive, hazardous or corrosive. We are offering Phenguard Sigma Coatings to our clients. Within our trusted SIGMA COATINGS® product portfolio we offer a complete range of high-performance and cost-effective tank coatings. 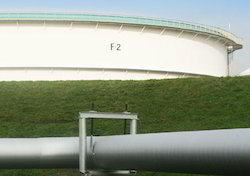 Designed to prolong tank service life, these coatings provide a vital protective barrier to prevent corrosion and therefore the need for extensive repair work or costly replacements. With both solvent-free and solvent-borne products available there is a tank lining solution to meet the specialist requirements of all types of cargo and stored products, however sensitive, hazardous or corrosive. The PHENGUARD range – versatile, durable and proven performance. We are offering Sigmaguard Coatings to our clients. Within our trusted SIGMA COATINGS® product portfolio we offer a complete range of high-performance and cost-effective tank coatings. Designed to prolong tank service life, these coatings provide a vital protective barrier to prevent corrosion and therefore the need for extensive repair work or costly replacements. With both solvent-free and solvent-borne products available there is a tank lining solution to meet the specialist requirements of all types of cargo and stored products, however sensitive, hazardous or corrosive. The SIGMAGUARD range – versatile, durable and proven performance. We are offering Sigmarine Protective Coating Service to our clients. The SIGMARINE range of coatings is widely used and respected in all key industry sectors, meeting the demanding challenges required to protect major civil infrastructure assets. The SIGMARINE range – for good appearance and efficient application. We are offering Sigmazinc Protective Coatings to our clients. The SIGMAZINC™ product portfolio offers a complete range of high-quality zinc primers that can be used as a primer in systems with epoxies and polyurethane topcoats.Depending on the zinc level of the SIGMAZINC product, the required performance protection of the asset can be obtained. The SIGMAZINC range has a long track record, with proven, long-term performance in the most aggressive environments, such as offshore – where salt and humidity are inevitable.SIGMAZINC products are excellent primers in coating systems that meet international standards such as ISO 12944 and NORSOK M501. The SIGMAZINC range – proven, long-term performance in the most aggressive environments. Sigma Cover Epoxy Coatings is a range of durable epoxy coatings is designed to deliver outstanding corrosion protection for both new construction and maintenance of major assets. The Sigma cover range – for improved efficiency, ease of use and wide application window. We are offering PSX Protective Coatings to our clients. PPG’s innovative technology proves that you do not need a three-coat system to obtain the optimum corrosion resistance of a zinc primer and an epoxy midcoat, along with the long-term gloss and color retention of conventional aliphatic polyurethane. Now, with only one coat of zinc primer, plus one coat of our breakthrough PSX® 700 coating you get performance equaling, or surpassing, the finest three-coat systems available today. Our unique system uses patented engineered siloxane components delivering the excellent adhesion, toughness, corrosion and chemical resistances of epoxy siloxane. The PSX 700 coating offers unsurpassed benefits in three critical performance areas. The benefits are more than just a reduction in coats. Three additional factors set this breakthrough product apart from all others, Unsurpassed performance Significant cost savings Outstanding environmental characteristics The PSX 700 coating – put the power of this product to work for you on your next project and find out how the product can benefit your business. We are offering Pitt-Char to our clients. 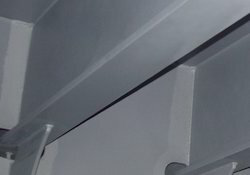 In marine and industrial environments, where hydrocarbon pool and jet fires are a risk, the intumescent properties of the PITT-CHAR® XP coating prevent steel structures from heating up rapidly in a fire. 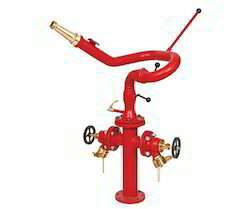 This delays the loss of load-bearing capacity and integrity, and buys time for personnel to evacuate to a safe area. Its unique flexibility delivers excellent performance, especially under cryogenic and explosion overpressure conditions, providing enhanced resistance to cracking on flexing and vibrating structures. The PITT-CHAR XP coating has comprehensive approval certification from all key authorities. The PITT-CHAR fire protection coating – saving lives and protecting assets worldwide. 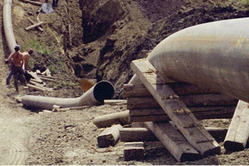 We are offering Sigma Aquacover Epoxy Coatings to our clients. The Sigma Aquacover ™ is a range of lead- and chromate-free waterborne epoxy coatings is specifically formulated to meet these demands. The range offers a viable solution to meeting VOC limits whilst providing reliable anticorrosive protection and good cosmetics in both coastal and industrial atmospheric service. The Sigma Aquacover range – superior waterborne coatings ensuring consistent performance. We are offering Sigma Shield Protective Coatings to our clients. The Sigma shield ™ product range offers long-term, cost-effective protection in the toughest environments. Our products deliver superior protection as they are all reinforced with abrasion-resistant pigments, including glass-flake, aluminum oxide or flint, depending on the level of performance required.The Sigmashield range is qualified and approved to meet the crucial demands of aggressive conditions such as in mining, offshore and petrochemical. The SIGMASHIELD range – performance you can trust in aggressive environments. We are offering Sigma Aquaweld Coatings to our clients. The SIGMA COATINGS® waterborne shop primer range technology is patented since it reduces dramatically the water sensitivity, the weakest characteristics of most waterborne shop primers. The SIGMA COATINGS® waterborne technology is designed to comply with the latest VOC regulations while facilitating the application process and reducing costs. This product is applied on conventional shop primer lines and therefore does not require any equipment change or addition. It offers at least similar steel protection as solvent-borne shop primers and shows extraordinary cutting, bending and welding properties. All SIGMA AQUAWELD products can be incorporated partially or as a whole in a total coating system. We are offering Sigmaprime Protective Coatings to our clients. SIGMAPRIME® coatings are the solution – a unique range of multipurpose anticorrosive epoxy coatings that meet the demands of process, speed and environmental compliance, without compromising the quality of the coatings performance.SIGMAPRIME coatings are designed to simplify production at the construction stage, and provide long-term performance in the field. In addition, they can be applied to almost all areas, in virtually all temperatures, throughout the year. The SIGMAPRIME range – driving increased efficiency into your business. We are the supplier and trader of 2-Way Stand Post With Monitor. 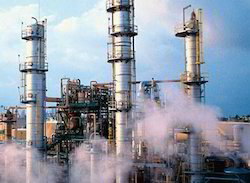 Looking for Industrial Protective Coatings ?